On November 20, the Office of Letters and Light will be bringing together the most mighty of endurance novelists for an event that will define our generation forever. I’m speaking, of course, of National Novel Writing Month’s Night of Writing Dangerously. 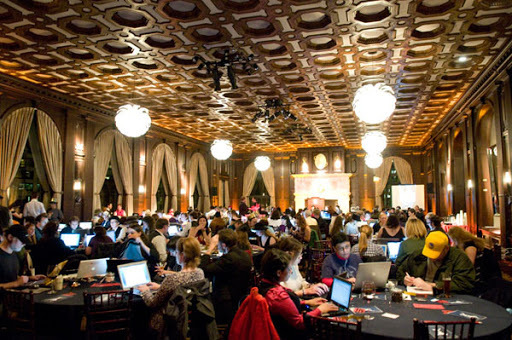 It’s a write-a-thon, and it will take place at the beautiful Julia Morgan Ballroom in downtown San Francisco. I will be there, writing my heart out and raising money for the Office of Letters and Light, NaNoWriMo’s parent nonprofit. This is an opportunity that will help me get a novel written in a short amount of time and will help push me into finishing it. November starts a marathon of writing for many people where we all write 50,000 words which is equivalent to a short novel. With this event it will give me the final push for the month along with allowing me to collaborate with other authors and have people backing me and helping me during the event.